akatsuki chibi. . HD Wallpaper and background images in the Naruto club tagged: naruto sasuke uzumaki gaara anime wallpaper photos icons. 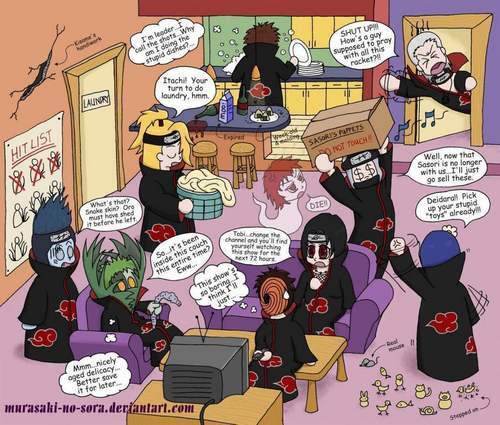 This is funny of corse Deidara, Tobi, Sasori(the ghost), Kisame and the man near Deidara's clay toys are the funniest people in the picture. that's not a man, that's konan. sry............ don't mean to be rude about it, other than that, it's hilarious. they all got their attitudes..
even though there's a mistake..